Megan Mikita: The 3 "MUST HAVE" hair products!! The 3 "MUST HAVE" hair products!! Whats your "hair product" closet looking like these days!?!?! Any good closet assortment should have its staples. That's a no brainier! We are always hearing about the "basics" every girl should have hanging in her closet! ex. LBD (little black dress), a good blazer, a basic white tee and so on.... you get the idea! Having a solid foundation in your wardrobe makes "putting" outfits together easy peasy!! WELL... I am here to tell you that you should apply those same principles to your hair product routine!! Your hair needs are quite the same way! If you have a great base of hair styling products it will make hair styling so much more enjoyable... plus your hair will thank you! Here are the 3 basic kinds of styling agents every woman NEEDS!! A serum or oil based. 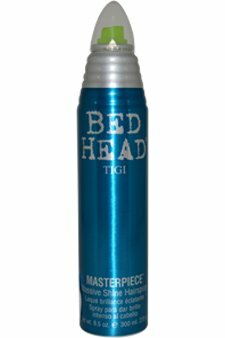 Something that will control frizz. Protect your hair against heating tools and the elements. And that my friends is the BASICS! Those 3 product 'types' are a great foundation to have in your "hair product" closet. Those are essentials when it comes to styling your hair. Products are a MUST HAVE when it comes to making your style work! If you already have the basics GOOD JOB! If not ...then get on it! It will make all the difference! !